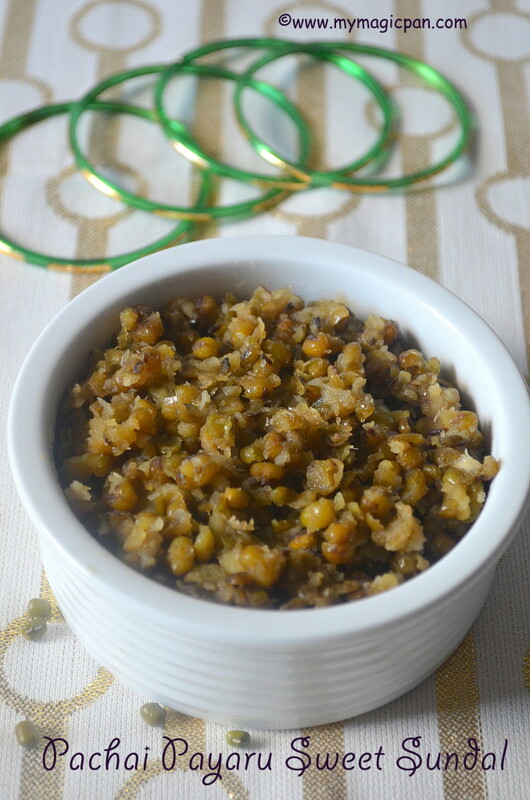 Pachai Payaru is nothing but Moong beans. 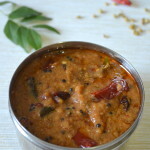 After posting Mochai Sundal, I wanted to post a sweet sundal. 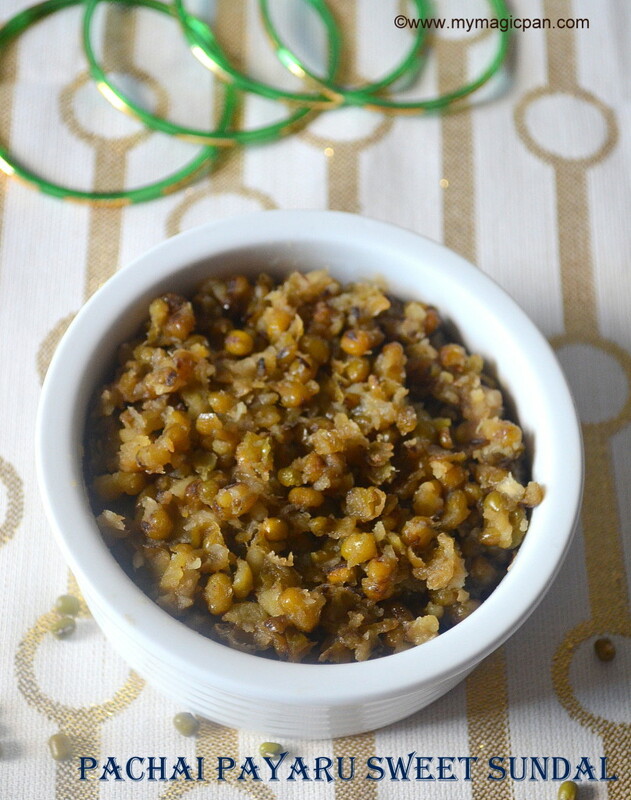 This Pachai Payaru Sweet Sundal is an easy and yummy sundal. 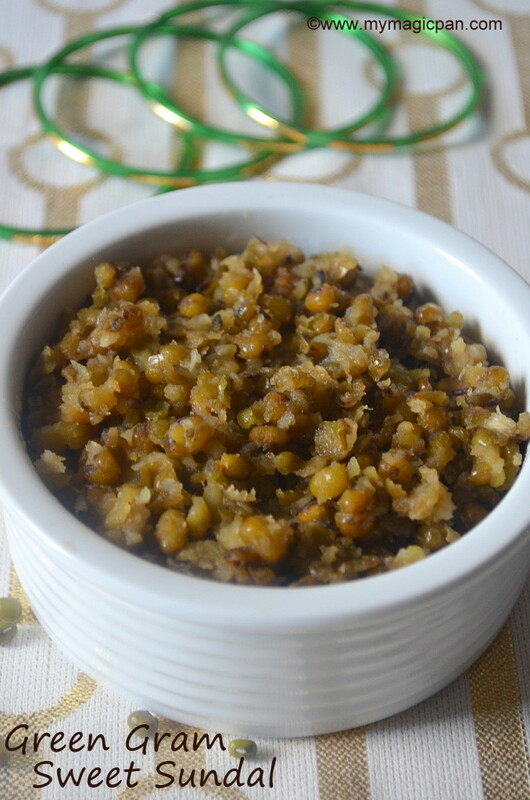 Sundal is an important part of Navaratri. With very few ingredients this can be made very quickly. 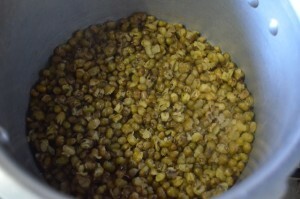 Dry roast the moong beans until u get a nice aroma. 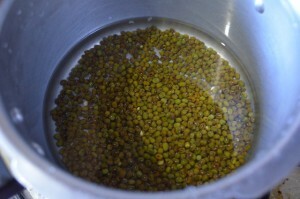 Wash it once and pressure cook for 4-5 whistles or until it is soft but not mushy. 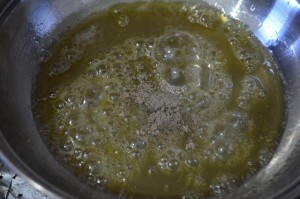 Heat a pan and add jaggery + water (just upto immersing level). 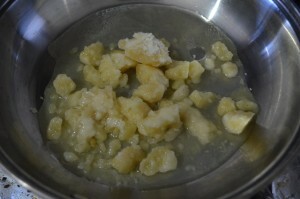 Let it boil until the jaggery dissolves well. No consistency is needed. Strain it to remove impurities. 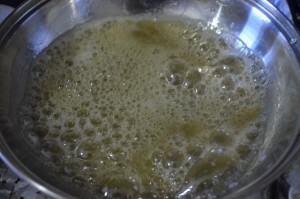 Now take the jaggery syrup in the pan and bring it to a boil. 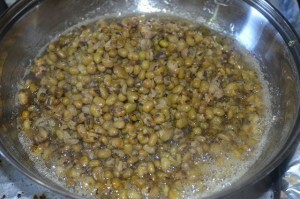 Add cardamom powder and the cooked pachai payaru. Mix well with light hands so that the jaggery syrup is coated well. 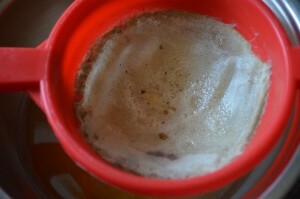 Let all the jaggery syrup get absorbed. 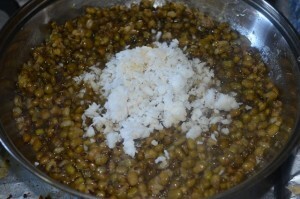 Finally add grated coconut and mix well. Switch off the flame. Thats it!! Pachai Payaru Sweet Sundal is ready!! 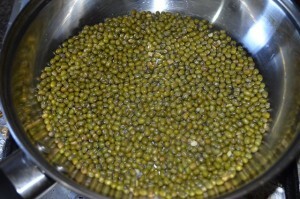 U can soak the green gram for 1 or 2 hours after dry roasting. If soaking, cook for lesser whistles accordingly. Else it will turn mushy. Adjust jaggery according to the sweetness you need. The above measurement gives a medium sweet taste. 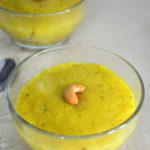 U can add a dollop of ghee before serving. 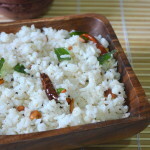 very different sundal among the usual ones..kids will like it for sure..looks lovely.. 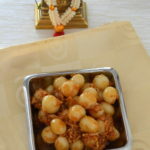 This looks so healthy and delicious, Sundari.